The roots of Slovenia’s chief avant-garde agitators take on the most precious and well-loved of musicals are as absurd as the outcome. Well, as absurd as it might first appear. 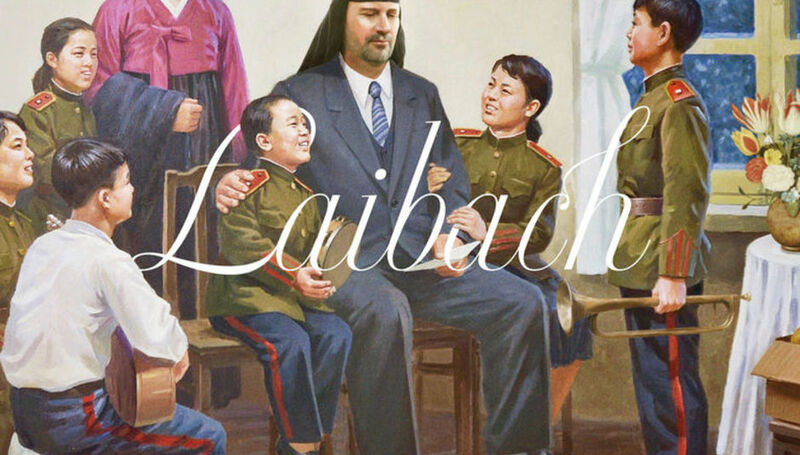 In 2015 Laibach became the first Western rock group to perform in North Korea as part of the country’s celebrations to mark 70 years of independence from Japan following World War II. During the shows, the band chose to perform a number of songs from 1965’s The Sound Of Music as it was a favourite of the DPRK and often used to teach schoolchildren English. Having previously been charged with flirting with totalitarian and military iconography, the perversity of tackling a soundtrack to a film that tells the story of a family fleeing Nazi invasion is presumably not lost on them. The album is also footnoted with 'Arirang', a traditional Korean folk song considered the unofficial national anthem of both North and South Korea, which Laibach chose to release when Donald Trump met Kim Jong-un. The stark yet labyrinthine satire they have created thrives before you even hit play on The Sound Of Music. Yet, listening to Laibach’s interpretations it’s hard to imagine they are coming from a place of irreverence towards the music they are covering… however preposterous it might at first appear. In whatever way they choose to twist and colour the original compositions a sense of admiration for the music bubbles up, as the title track illustrates. The minor key lilt does little to dampen its inherently hopeful heart as its transformative soar is exchanged for no-less-affecting inky power-balladry/low-pitched sprechgesang. Equally, ’My Favourite Things’ is one of the albums very best re-imaginings. Laibach turns the song into a gothic waltz, at its centre Milan Fras’s bass vocal rumbles through the famed beloved objects ("Girls in white dresses with blue satin sashes/Snowflakes that stay on my nose and eyelashes"). The inspired addition of an angelic children’s choir in the background proves that rather than destroy the film’s sugary legacy they liberate the music from the preconceived purity of its star and its family-friendly reputation to repurpose the music for the twenty-first century. The album is charged with contrasts of light and dark throughout. The innocent ode 'Sixteen Going on Seventeen’ is lent a sinister air as Fras’s predacious vocal is horrifyingly paired with Marina Mårtensson on her purest form. In their hands' lyrics like “Your life little girl is an empty page/That men will want to write on” make you shudder. Similarly, ‘Climb Ev'ry Mountain’ is lent a predatory gait and ‘Lonely Goatherd’ the band's signature industrial stomp. For all the murk that Laibach layer these covers with the response it often triggers is an often wry, and sometimes wide, smile. ‘Edelweiss’ lies at the heart of the film, warms the cockles and brings a tear to the eye; not so much Laibach’s version. When Fras sings “You look happy/to me/to me” or “bless my homeland forever” well, it’s pretty creepy and threatening (in a darkly comic way of course). And the newly dubbed ‘Maria/Korea’ recycles lyrics once meant for an exasperating nun to a totalitarian state, “Many a thing you like to tell her/many a thing she ought to understand,” for one of the many, slightly guilty, belly laughs of the record. Laibach aren’t strangers to the absurd, and while there’s certainly a healthy amount of irony about a lot of what they do, they are enigmatic provocateurs nonetheless. Interpret it how you will. Nevertheless, that their re-imagining is offered at a time when factions of the far right are rearing their ugly heads the world over makes their timing prescient, to say the least. The story of the Von Trapp family is based, after all, in an era on the cusp one of the darkest moments of recent human history, and the film’s songs a tool to transcend the horror. And my god what tunes they are. Laibach has done little to diminish their brilliance on a loaded, thought-provoking, and immeasurably entertaining release.